That is why LTL Mandarin School has such a strict recruitment process in place for teaching staff. All LTL teachers must have a Bachelor’s or a Master’s Degree in ‘Teaching Chinese as a Foreign Language’ (对外汉语). 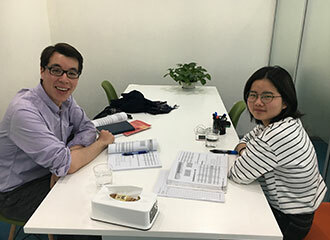 During this four year course they learn how the Chinese language works, how to teach it to foreigners, and learn more about their own culture. They are also required to pass English language exams and do work experience placements. Prior to starting at LTL our teachers also have to complete at least two years of teaching experience at another school. They will then be interviewed and do demonstration lessons before signing the contract. 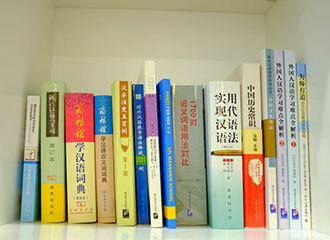 Over the last ten years, LTL Mandarin School has helped over 3,000 China enthusiasts learn more about the Chinese language and experience the country’s unique culture. Our schools in Shanghai, Beijing and Chengde have always been built on a solid foundation of trust: students from all over the world trust us to organise all aspects of their program, and support them throughout their time in China; parents trust us to ensure the safety of their children; and our network of Chinese homestay families trust us to arrange for students to live in their homes. We are very proud to have built up that trust over many years of hard work. For us, there is nothing more important than justifying and upholding that trust in the years to come. We also offer a number of extra add-on services that many newcomers find helpful in the first few weeks, while they adjust to life in China (Link to Survival Kit). All LTL students are covered by our 24/7 emergency support guarantee – we sincerely hope you won’t need it, but should you need emergency help whilst living in Shanghai, we’ll only be a phone call away. 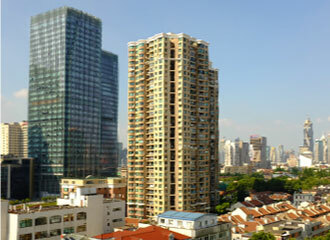 LTL Mandarin School Shanghai is located in the heart of Shanghai’s Former French Concession. From our 9th floor windows we can see Shanghai’s famous tree-lined streets with their shikumen architecture and the glossy, modern skyline of Pudong beyond. Transport links: Five minutes’ walk from Shaanxi South Road subway station (Lines 1 & 10, and 12) and numerous bus routes. 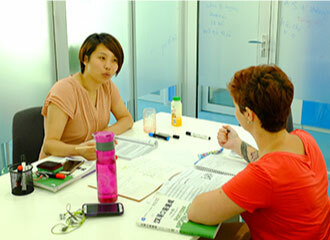 LTL is more than just a place to learn Mandarin Chinese. Whether you stay short-term or long-term, we hope our school will become a ‘home away from home’ during your time in Shanghai. Many students will end up forging lifelong friendships with the people they meet here, staying in contact with us and each other on our online communities long after they finish their course. That’s because although our students come from diverse backgrounds and speak different mother tongues, all are united by a common aim – learning more about China and Mandarin Chinese. We also organise a weekly social calendar so that new students quickly feel part of the community. Everyone at the school meets to eat lunch together every day and there are a variety of LTL social events throughout the week – from Wednesday Night Social Dinners to weekend day trips. We want our students to not only hear and speak Mandarin when they’re in class – but continue to use the language outside of the classroom too. Whether you’re a beginner or already advanced, applying what you’ve learned to real-life situations will reinforce your learning, and also motivate you to learn more! There are many ways we can help you immerse yourself into Chinese culture and language from Day One. For example, the majority of our students stay with a local Chinese homestay family. There’s also far more to Shanghai than designer shopping malls and expat bars – there are literally hundreds of sports clubs, local interest groups and cultural events, all great places to meet native Chinese speakers. If there’s a sport or activity you’re keen to get involved with while you’re here, let us know, and we’ll help you to organise it. For those who want to take the immersion experience to the next level, there’s also our Immersion China program, in which you’ll spend half of your program in the rural city of Chengde – where you really will be surrounded by the Chinese language 24/7! Click here for more tips and tricks on how to achieve Chinese language immersion. Don’t just take our word for it – various organisations have recognised LTL Mandarin School as a top-quality provider of Chinese language programs. LTL Mandarin School is a fully-accredited member of the International Association of Language Centres (IALC) (link), the world’s first and oldest association of private language schools. This means we operate the school based on the IALC Code of Ethics (link) and are subject to regular inspections. The Chinese Government has recognises LTL Mandarin School as an ‘Accredited Provider of Cultural Programs’ and also an official exam center for the HSK Chinese Proficiency exams. If you’re German or Swedish you may be eligible for time off work or a scholarship for your chosen LTL program. Contact us for more details. LTL class credits are recognised by universities around the world, including Michigan State University. For information on how to receive university credits for your LTL course, please contact us. If you’ve never studied Mandarin before, then there are monthly starting dates on which you can begin your Small Group course. And if you’ve already got some prior knowledge of the language, or if you’re looking for a personalised 1-on-1 course, then you’re free to start on any Monday. There are no application deadlines for joining one of our study programs – as long as there’s a place still available for you on your preferred starting date, we will organise it for you. Tell us which program you want to sign up for, on which dates, and whether you require accommodation or other services. We’ll send you a full quotation which clearly shows all the relevant details and the final cost in your preferred currency. Pay 30% of the full program fee in order to confirm your booking. Your place on the program is now reserved for you, and we will start preparing for your arrival. Fill out the online registration form with further details of your learning goals and dietary/accommodation preferences. If you require visa support, we’ll also send you all the necessary documents needed for your application. Approximately two weeks before arrival, you’ll receive a pack of your class timetable, contact information and a pre-arrival guide. Now would also be a good time to join our online student group so you can meet future classmates! STEP 5: ARRIVE IN CHINA! Get on that plane – we are looking forward to meeting you!